High-Intensity Training (HIT) has always been the subject of controversy in Bodybuilding due to the uncommon and unconventional principles it promotes. Unlike other popular types of resistance training that consist of high sets and high repetitions for muscular growth, HIT goes against it all and brings something completely new to the table. HIT is wrongfully one of the least popular methods of training utilized by current bodybuilders, not because it doesn’t work, but because it’s not as appealing as the training style created by Arnold Schwarzenegger just a few decades ago. If you are not familiar with HIT training (High-Intensity Training) let me explain more about it, HIT training was something practiced by a few famous bodybuilders including Mike Mentzer, his brother Ray Mentzer and the massive Dorian Yates, let's face it, Dorian was one of those bodybuilders that we can say introduced one of the first massive physiques on to the Mr. Olympia Stage. 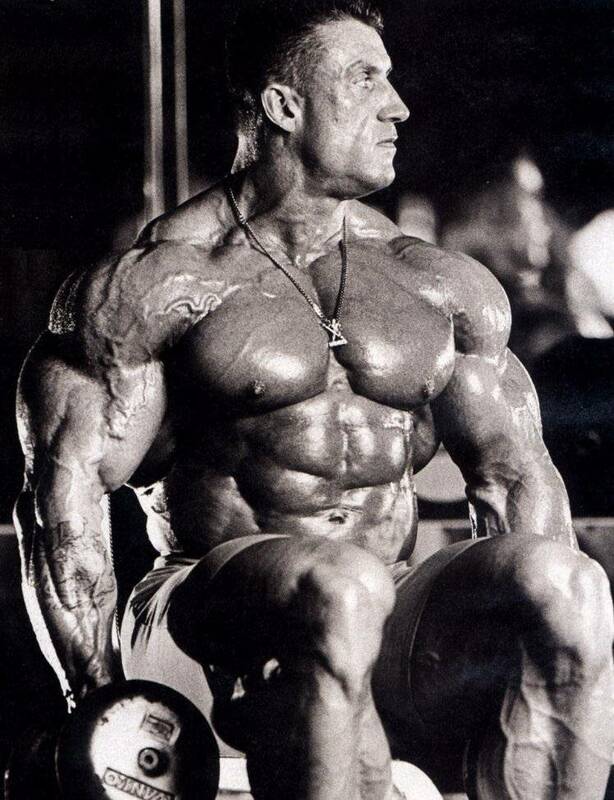 If you have never watched a Dorian Yates training video, his facial expressions are priceless and will give you an idea of the excruciating pain experienced during his workouts, pain that was generated by surprisingly “short” training sessions. HIT training can be excruciating and painful, especially if it's performed properly. The biggest issue with HIT training is that it can take an immense amount of energy for it to be effective, the more stamina you maintain during the workout the more effective it will be. 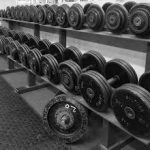 The biggest issue with (HIT) training is that since the movements are slow and controlled, you need to make sure that our muscles are maintaining plenty of nitrogen and oxygen, so proper nutrition, and supplementation are important, otherwise, you will be unable to endure the length of the training session. HIT requires raw explosive power throughout each controlled movement. For most of us, a normal strength training session would be when we blast out several sets with moderate to high repetitions. HIT training requires slow and controlled movements during each exercise, you can almost consider it a less is more training technique, while you are doing fewer sets and reps you are using very controlled movements while squeezing and holding each contraction for 2-3 seconds. 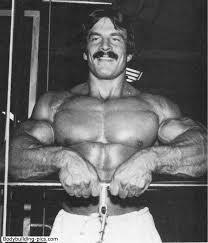 Mike Mentzer wrote several books on this subject and some bodybuilders don't agree with his principles, but that is hard to argue considering the awesome physique Mike Mentzer had. — Mike Mentzer (High-Intensity Training the Mike Mentzer Way©, p. 41). In spite of Mike Mentzer's theories and physical results, many have questioned his concept of training the muscles to momentary failure while controlling load variables with slow movements, other studies have found some very significant “positive” findings. Mike Mentzer believed that one set to failure per exercise was more than enough to stimulate a response from the muscles, any more than that would simply be wasting unnecessary effort and could be considered counterproductive which would constitute overtraining. – Mike Mentzer (Muscles In Minutes, p. 26). Most bodybuilders perform 2-3 sets ranging between 8-15 reps, those numbers seem to be the norm but not the rule, a lot depends on what muscle group you are focusing on and the intensity and duration of each movement and contraction. HIT is a form of strength training created and promoted by Arthur Jones, the creator, and founder of Nautilus. High-Intensity Training is based on a few very simple training principles developed by Jones; these principles can often be played around with as long as certain requirements are met. The movements that are performed within a HIT exercise program need to be performed with a high level of effort and intensity; HIT can be explained as a way of performing progressive resistance. HIT workouts are meant to be kept very brief and spaced methodically around the week, by doing this the body will heal, recover and grow at a faster rate. Every single exercise needs to be done in a controlled and slow manner; the repetitions should be kept high. After each repetition is done control the negative in a slow way, taking up to four seconds before you begin performing the next one. A concept that is highly involved in HIT is the “Isometric Hold” principle; this means that you will squeeze your muscle for up to three seconds at the top of the movement and then follow it with the already discussed (four second) negative. How does HIT compare to other training styles? The answer to this questions is very simple, HIT does not compare in any single way to any other given training method or style. The most popular training routines used today by bodybuilders from all levels are often derivatives of the training style promoted by the seven-time Mr. Olympia Arnold Schwarzenegger. 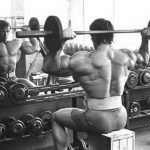 While there’s nothing wrong with Schwarzenegger’s training style, it simply does not work for everyone and it’s highly overused. 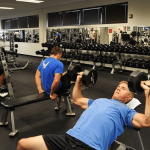 Most training methods encourage the athlete to perform four to five exercises for each body part, each exercise for five sets and each set for 10-12 repetitions. These workouts then recommend that the athlete perform one body part per day throughout the whole week, with maybe a rest day or two in between. 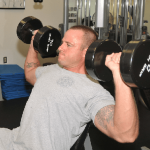 Most of these workouts will require the bodybuilder to be in the gym for up to two hours at a time performing unilateral movements that will only do so much. High-Intensity Training teaches the bodybuilder to correctly perform a movement so it has a direct effect on muscle growth. HIT focuses on the isometric and the negative portions of the workout by activating slow and fast twitch muscle fibers that would not be activated by other types of movement. High-Intensity Training routines are meant to be intense throughout the whole workout. Every single exercise, set, repetition and rest period is filled and surrounded with an intensity that can’t be matched by any other training style. Arthur Jones believed that the human body will benefit more from one high-intensity set than four low-intensity ones. The key to muscle growth is creating pressure around the muscle so it can then grow to new heights, think about it, what do you think is more effective? Five ten second straight sets or one three minute set with slow negatives and isometric holds? By performing HIT you will slow down your repetitions and sets but you will also be out of the gym faster as you will only need a few sets per exercise to fatigue it, you will be able to create and enhance your muscle-mind connection and you will also become stronger. The key to HIT is keeping the muscle constantly working and then give it time to rest, heal and grow, this training style is a lot more complex than it seems but it works, people just choose to not use it because it “doesn’t look as intense or cool”. Like it was stated above, there isn’t a big demand for High-Intensity type of routines but there are still people all around the world who actually use it to take their physiques to new levels. Believe it or not, the Nautilus machine was created by Arthur Jones purely to promote this very particular training style, the machines were built around High-Intensity Training techniques, but not many know that. 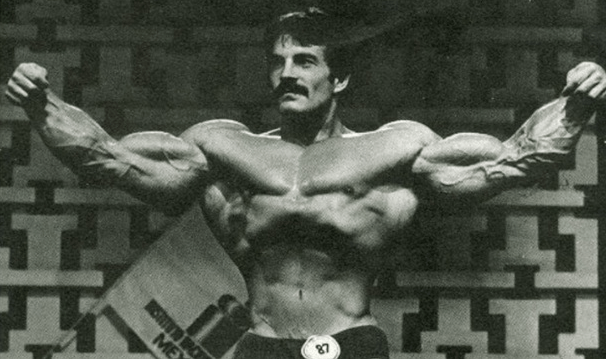 Dorian Yates followed similar training principles of Mike Mentzer, the difference being that he would warm up with two sets performing 10-15 reps, followed by one intense working set for each exercise using a weight that would let him perform 10-12 reps on the working set. HIT training is all about progress, meaning that every time you train you should gradually increase the weight ( while maintaining proper form) not by a lot, but making sure that the amount of weight continues to increase over time “weeks and months”. When performing HIT training the best way to achieve failure is on the negative movement of the exercise by doing forced reps, you will need a training partner to do this, what he or she does is help you lift the weight on the way up and then you control the weight coming back down on the negative, this is Dorian Yates meaning of true failure and what HIT training is all about. This boils down to a personal preference, many say you need a day or two for recovery, but this is will vary from person to person, if you train one body part per day this should not be an issue, there are many supplements or legal steroids that can help accelerate recovery time making it easier to train more frequently. Dorian Yates and Mike Mentzer are probably the best-known promoters of this training style, Mentzer had a physique that could only be classified as art, he had incredible shape and thickness that drove him to be one of the best bodybuilders of the Golden Era, some argue that he clearly beat Arnold Schwarzenegger in the 1980 Olympia but lost due to politics. 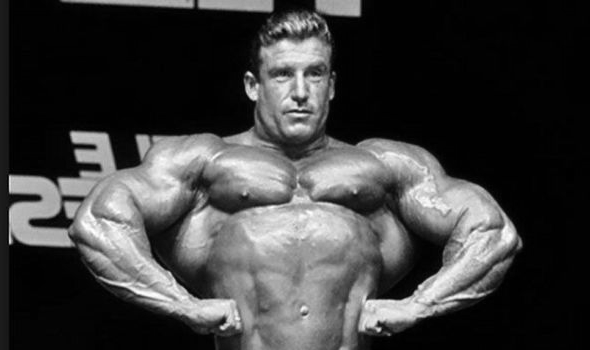 Dorian Yates won the Mr. Olympia six times and was the first person to ever step on an Olympia stage with a monstrous physique such as his, he used HIT throughout his whole career, his training carved a legendary physique that can’t be matched till this day, a quick look at his training videos will give anyone curious enough a look at just how painful and effective the HIT training style actually is.